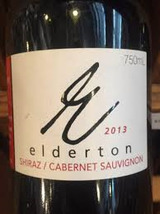 Elderton has a proud history of success in the Barossa. These wines enhance and reflect of what the Ashmead family are about; premium quality wines with a real sense of their roots in the Barossa and it's surrounds. The E Series wines are designed to be affordable everyday drinking made with exceptional quality. Whilst made from premium South Australian fruit and receiving quality winemaking & oak handling, these wines will always be priced to offer exceptional value for money.